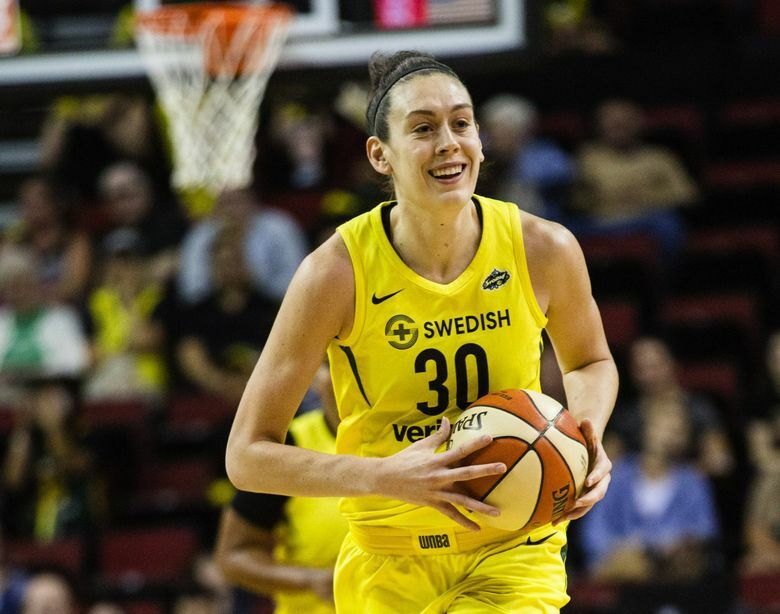 Seattle Storm forward Breanna Stewart, the 2018 WNBA MVP, exited the EuroLeague Final Four championship game with an apparent foot injury on Sunday in Sopron, Hungary. Many WNBA players play overseas during the offseason. Stewart's squad was matched up against UMMC Ekaterinburg, also from Russian Federation, which features fellow WNBA stars like Britney Griner, Kayla McBride, and Courtney Vandersloot, and trailed by 16 late in the second quarter. While no official diagnosis has been reported, unofficial sources cited by Q13 Fox fear that Stewart tore her right Achilles tendon - an injury that could take anywhere from six months to a year to heal. Kentwood grad Courtney Vandersloot also plays for UMMC and had 18 points and eight rebounds to lead her team to the 91-67 win. Stewart led CT to four NCAA tournament titles and was the No. 1 pick in the 2016 WNBA draft. The WNBA regular season starts on May 24.